An automobile & automotive industry focused monthly publication & online resource providing critical market intelligence & insights in today’s rapidly changing industry & economic environment. 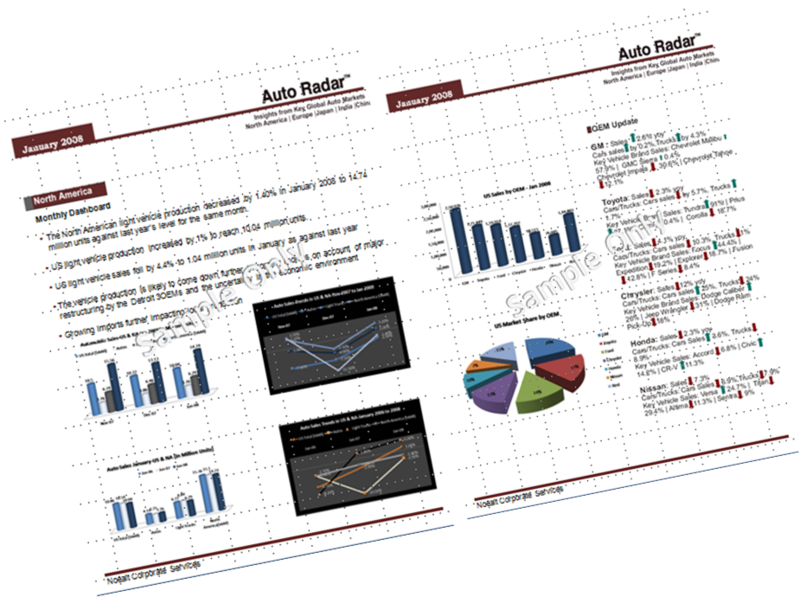 Covering a wide gamut of features including real-time analysis of industry and market events, reviews, trends & opinions presented in a concise yet comprehensive manner; the Auto Radar is a comprehensive source of automobile & automotive intelligence from key global markets, well-established & traditional strongholds of Western Europe & North America. 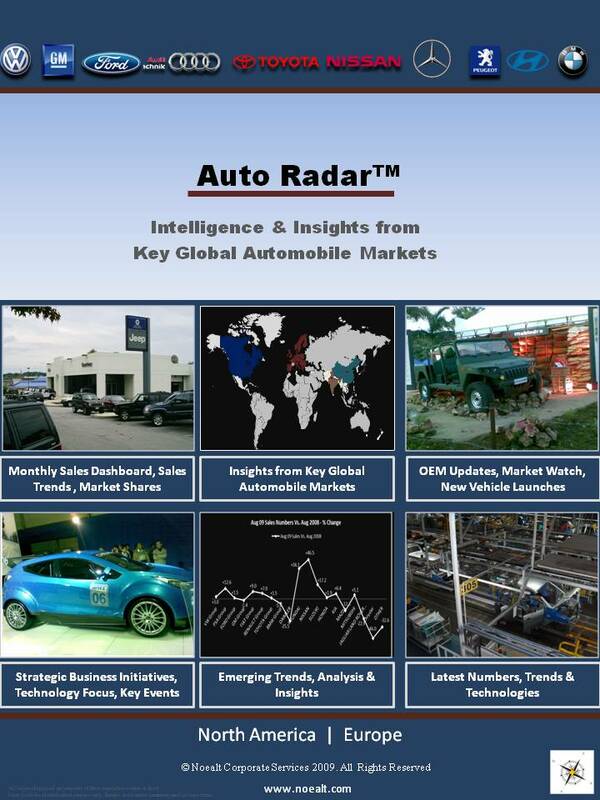 Trusted by a rapidly growing number of industry professionals across North America, Europe & Asia to stay ahead & maintain the competitive edge; the Auto Radar is a key resource for market intelligence & insights on the automobile industry; useful to coordinate strategic business decisions based on industry & market intelligence for overall business effectiveness. Snapshot of sample Auto Radar issue.